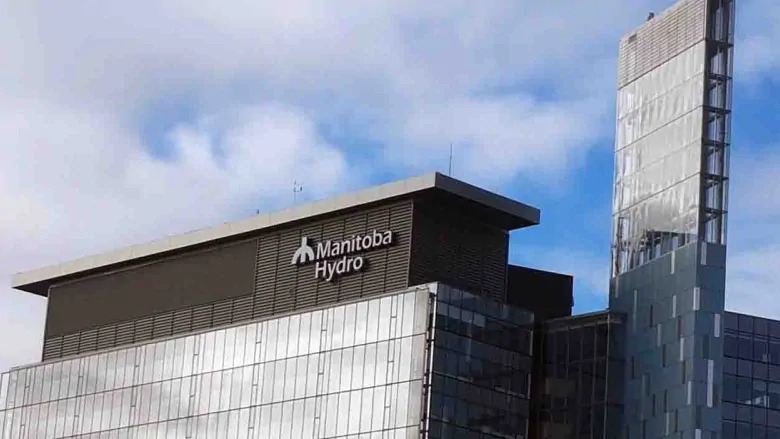 WINNIPEG - Manitoba Hydro is warning customers, particularly small business owners, to be wary of high-pressure scammers threatening to shut off their electricity. The callers demand the customer to make immediate payment by a prepaid card. Often, the calls are made in the middle of the day at a busy time, frightening the customer with aggressive threats about disconnecting the service, says hydro spokesman Bruce Owen. "They tell them 'we have a truck on the way to cut off your power. If you don't pay in the next hour you're out of luck,'" he said. "And because these folks have inventory in freezers and they have customers … they're willing to fork over several hundred or even several thousand dollars on a prepaid card to somebody they don't know to keep the lights on." Maybe the business owners can't recall, with everything happening, if they've made their payments on time. They start second-guessing and believing the person on the other line, Owen says. And they worry about losing thousands of dollars in business if they lose power. So they're more than willing to run out to a store, buy a prepaid debit card and provide the number to the caller. "Their goal is to manipulate you into sending money before you figure out it's a scam," said Chris McColm, hydro's security and investigations supervisor. "These people are crooks and you should hang up on them." For any customers that are in arrears, hydro will work with them to resolve the issue, Owen said. "We do not have to take that extreme measure of cutting off or disconnecting anybody. That's not the business we're in — we don't strong arm people that way," he said. "Anybody who's threatening to cut off your power with an hour or half-an-hour notice, well it's it's no better than someone waiting around the corner, waiting the club you over the head in the dark of night. That's what they are." The power utility has recorded a nearly-300 per cent jump in the number of fraud-related complaints this year over 2017. There have been 862 phone, text and e-mail scams and that could still go much higher. The current statistics from 2018 have only calculated up to Oct. 31. In 2017, there were 221. That jump in numbers doesn't necessarily mean there are more scammers out there. It could simply mean people are finally getting wise to fraudsters and reporting it more, Owen says. "At the same token, we don't hear of everybody who's been taking advantage of because once they've found out that they've been hoodwinked they don't want to tell anybody because they're so embarrassed," he said. "These scammers can be very convincing and anyone can be victimized," McColm said. What does my business look like? What's the weather outside right now? Phone scammers can falsify their caller ID information to make it appear they're calling from a local number, but what you'll find is most of them aren't in Winnipeg or Manitoba and likely not even this country or continent, Owen says. The key to being safe is simply to never give out banking information, Owen says. It's a message that has been stressed for years and 80-90 per cent of people understand it, but it's that other 10-20 per cent that are still being victimized.And it's not just phone calls. Many other fraud-related complaints to Manitoba Hydro this year concerned unsolicited text messages to customers saying they had been overbilled and were eligible for a refund. This scam is also aimed at getting a customer's personal banking information, under the guise of having money put back into their account. Also, many people, especially seniors living alone, continue to be targeted by aggressive door-to-door fraudsters, McColm says. However, he adds, hydro employees always display photo ID and will never demand to come into a home. If you're unsure whether a phone call, text or email is real or a scam, contact Manitoba Hydro at 1-888-624-9376. Is nuclear power really in decline?